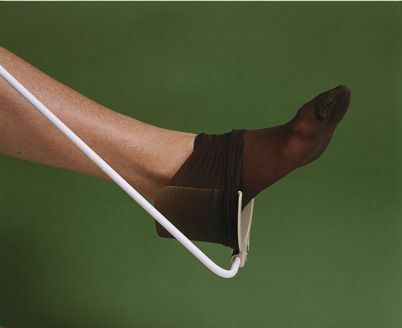 The brevetti sock and stocking aid has been designed to help those with restricted mobility, enabling the user to successfully apply on socks or stockings. 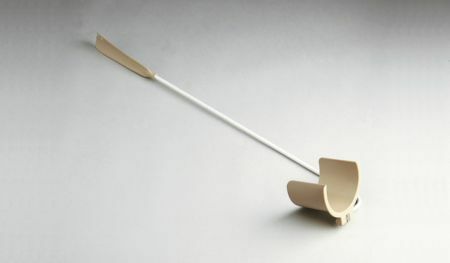 It consists of a plastic collar or gutter for holding the garment at one end, and a plastic shoehorn with a notch for easy sock removal at the other. A coated steel tube connects the two.